Our goal is simple -to offer an all-in-one, affordable and fully supported video conferencing service for every type of organisation, connecting users face to face, wherever they are. 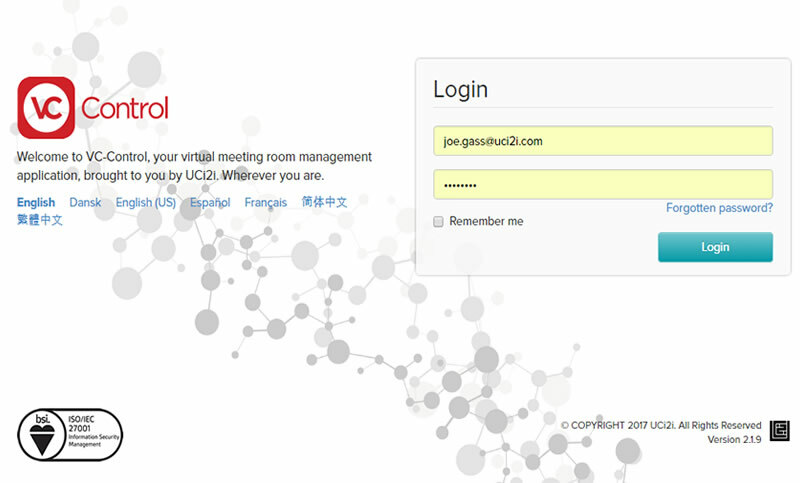 VC-Control is a browser based universal Virtual Meeting Room management application from UCi2i. It is part of a suite of applications from UCi2i that put the power of video back into the hands of the end user, allowing users to take complete control of their video world. VC-Control can empower users with the ability to manage multiple VMRs, at the same time, it grants multiple users the ability to easily use one VMR. This means that IT managers can easily allocate and manage their company VMRs; and multiple users can make the most out of their allocated VMR. UCi2i have built VC-Control specifically for non-technical users. It brings all the simplicity of consumer video to the added benefits of business video. When you lose a packet of data, a conversation can lose meaning, and comprehension becomes harder. Our business quality video communications run over a private network meaning a packet is far less likely to be lost, resulting in seamless communication from start to finish. VC-Control allows users to be their own concierge, meaning video becomes more efficient and affordable within your business. Users are empowered with functionality usually only available in highly technical management software. Multiple people can manage one Virtual Meeting Room. One person or more can manage multiple Virtual Meeting Rooms. Address book allows users to easily add and remove people from a call. Meeting owners can have complete control over participants volume, video, microphone and bandwidth allocation. Ability to send messages to entire conferences or privately - allowing discreet communication of pertinent information. VC-Report is a web based multi-tenanted real-time activity reporting software from UCi2i, for monitoring video hard and soft endpoints and infrastructure. All UCi2i cloud based service plans include access to the VC-Report portal so that our customers can access the same detailed calling information that the UCi2i video support team have. UCi2i support actively monitor our video network and the quality of all calls with VC-Report ensuring video systems are always available when needed. In addition, any issues experienced during a live call can be addressed even before they start to affect call quality, ensuring our customers’ calls are uninterrupted, secure and in high definition. VC-Report constantly collects and stores all calling data enabling us to generate fast and accurate reports that can be exported in .csv files for manipulation in programs such as Microsoft Excel. Furthermore, data is stored in the cloud making it easy to access historical information as far back as the when your UCi2i service plans were created. Network registration and deregistration monitoring of all soft and hard video endpoints. 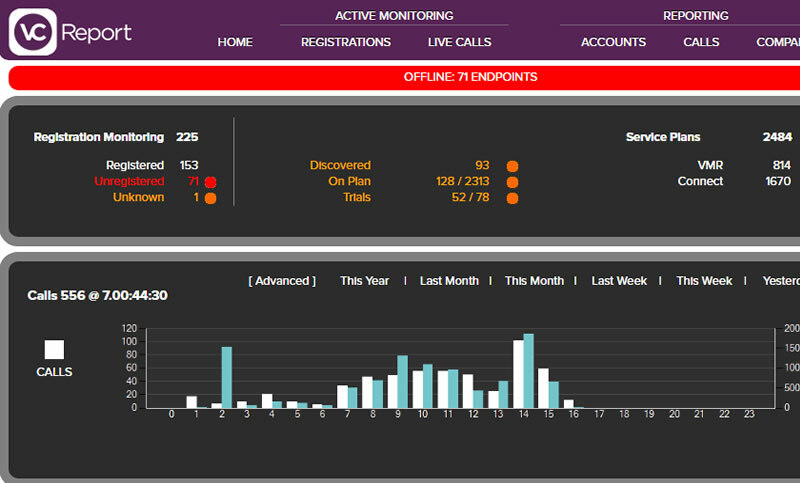 Monitoring of every call across your network in real-time. In-call packet loss and jitter statistics. (VC-Report is the only software available on the market today with such capability). Extensive reporting capabilities enabling management teams to make informed business decisions. Call usage data enabling accurate inter-department billing.